As some of China’s hottest stars, there’s always going to be curiosity about how they live. Here are the stars that allowed TV cameras into their homes, giving us a small glimpse of their lifestyle! 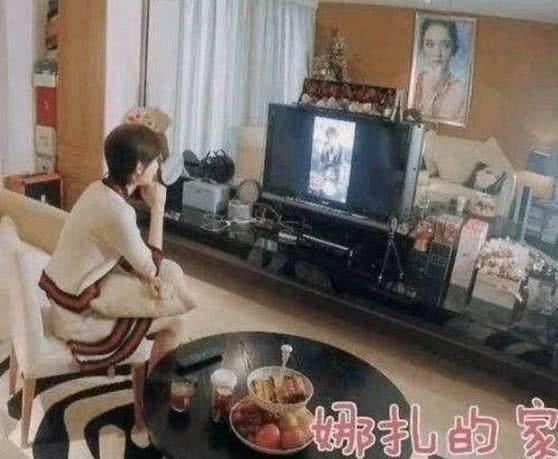 Eternal Love <三生三世十里桃花> star Dilireba (迪丽热巴) didn’t really give us a tour of her home, but in this brief glimpse of her living room, one can definitely assume that the 25-year-old is living the life we all want to live. Guli Nazha (古力娜扎), in comparison, lives in a much more modest apartment in size, but it is definitely not short on surface area. 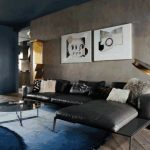 The most interesting thing to note is that she has a large portrait of herself on the wall of her living room—it’s the celebrity living space! 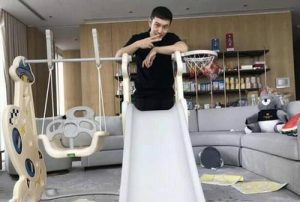 Huang Xiaoming (黄晓明) and his wife Angelababy tend to not divulge too much of their own private lives behind closed doors, but in this photo that has been leaked online, Huang Xiaoming is standing in a room that looks to be like his son’s playroom. 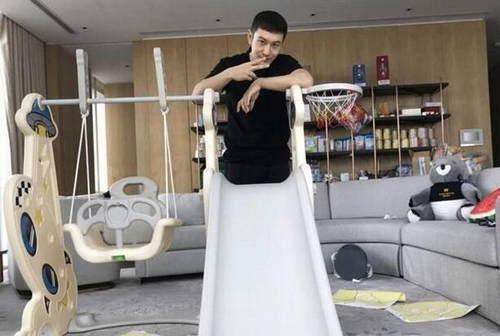 The monochrome background—the brown walls, gray furniture, and off-color carpet, shows that Xiaoming isn’t very flashy in his taste for home decor. 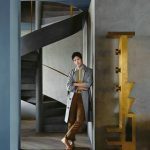 Jing Boran’s (井柏然) has the most stylish home of them all. 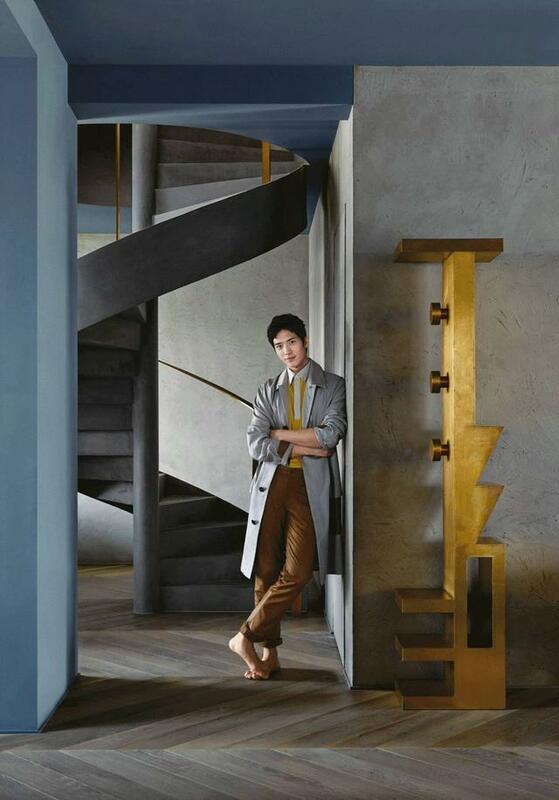 According to various reports, the Monster Hunt <捉妖记> actor has a passion for design, and he designed his home with style and convenience in mind. 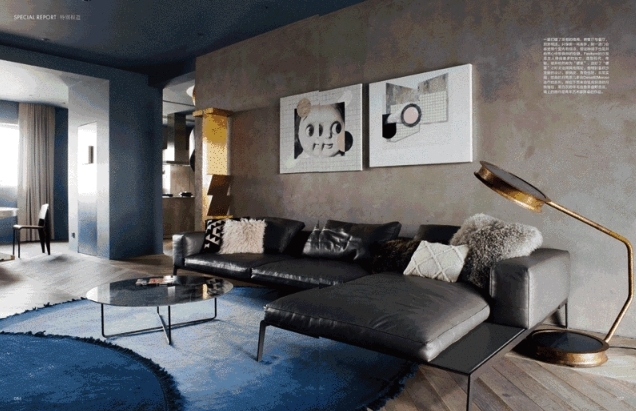 The actor doesn’t mind showing off his new home, as he is very proud of what it has become.